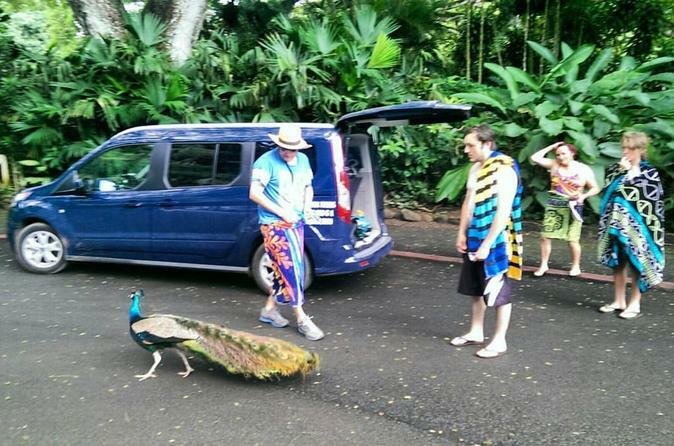 Just you and us on a private tour of Oahu, Hawaii. Up to 6 people can go with a guide around the island on a customizable, personalized, private tour. Seriously the best deal around. The basic blueprint of our tour follows the circle island route around the perimeter of the island, but our tour is highly customizable, so no two tours are exactly the same. We can cover the major lookout points and attractions and/or focus mainly on hiking, beaches, snorkeling, Hawaiian culture, almost whatever you want (within reason). We try to work in local foods and snacks into our tours, and can even focus on doing a food tour if you so desire. We try our best to accommodate all our customers. We will pick you up from your hotel in a new, spacious, air-conditioned van with panoramic moon-roof and show you around our island. We can go to and stop at places in our van that the big tour buses can't to give you a more personalized and off-the-beaten-path experience. Don't forget to bring towels and your cameras!